Being East Coasters, California’s central coast has always been a bit of a blank spot on the map for us. We’d heard of Big Sur and we’d had wine from Paso Robles, but we didn’t know what else is out there. The answer is simply Cambria. And if you haven’t been, you’re missing out. Here are the top things to do in Cambria for a weekend. 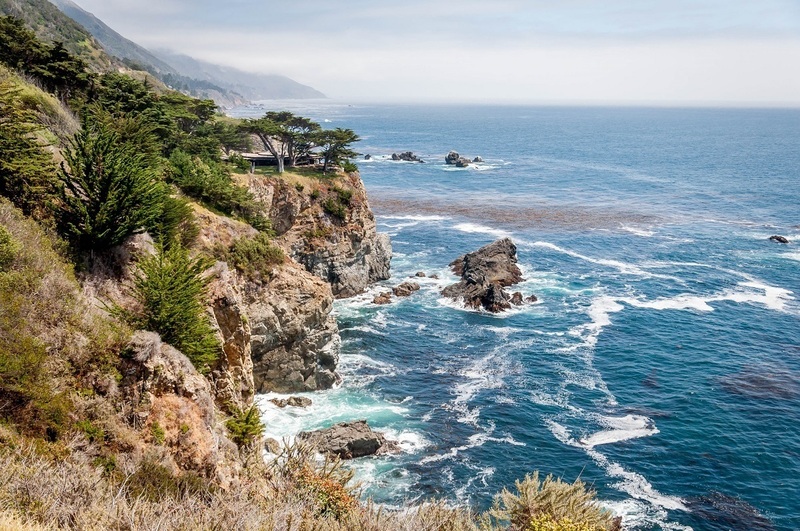 There’s no doubt about it, the Big Sur Coastal Drive lives up to all the hype. Stunning ocean vistas, winding roads, bridges over massive chasms and quiet pullouts to enjoy the views – it’s all here. But most people set out from Monterey, leading to a kind of southward traffic jam. Everyone sets out early. Everyone stops at the few places along the way to eat around the same time. But who says it needs to be this way? Instead, by enjoying the Big Sur drive from the south and starting in Cambria, you’re not one of the herd. You go against a lot of the traffic on the Big Sur coast. It also makes for a more rewarding experience and Cambria is a more relaxing base than Monterey. NOTE: In May 2017, a massive mud slide closed the Big Sur Highway until further notice. The highway department in California, Caltran, worked diligently to re-open the roadway, which was completed by July 2018. However, through the remainder of 2018, Caltran was still performing remediation along the Big Sur Highway, including bridge inspections, drainage work, and other improvements, which resulted in additional temporary lane closures and some delays. Caltran will be performing proactive closures in early 2019 for additional work away from the roadway. Finally, the new Caltran plan for the highway calls for the closure of the road proactively during periods of significant rainfall. Visitors should be prepared to encounter road crews on the roadway and temporary road closures at any time. 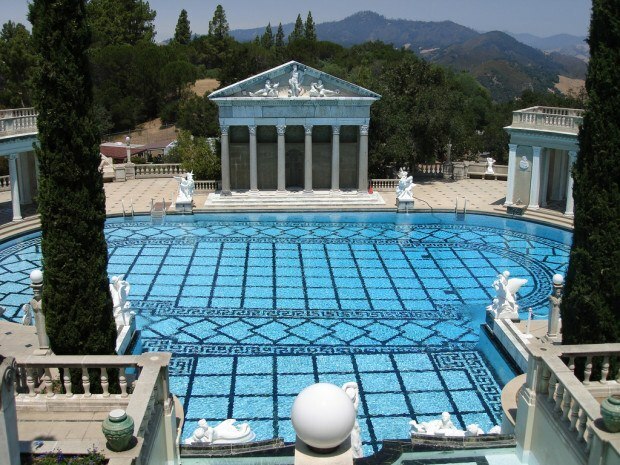 The Hearst Castle, located north of Cambria, was the home of the father of yellow journalism–William Randolph Hearst. The Castle, known as La Cuesta Encantada (The Enchanted Hill), was Hearst’s home until his death in 1951. The Castle is actually a series of mansions and has played host to Hollywood as the setting for the film Spartacus and served as the inspiration for the mansion in Citizen Kane. In the style of the other grand mansions and castles, Hearst features lavish bedrooms, over-the-top pools, beautiful gardens and breathtaking views of the Pacific Ocean. Hearst Castle is not to be missed on a weekend in Cambria. Take an all-day guided tour of Hearst Castle with convenient pick-up in Cambria and lunch included. 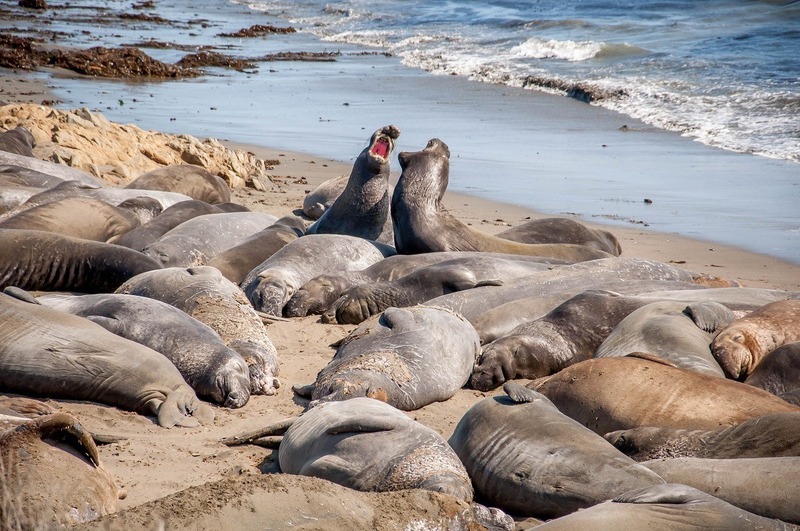 Just across the road from Hearst Castle in San Simeon is a large colony of elephant seals. This is the rookery where the seals come a couple of times a year to breed, birth and rest. The rest of the year, the seals are out at sea feeding. Nearly hunted to extinction, the elephant seals have made an amazing comeback. The massive beasts took up residence along this stretch of beach in 1990. Now, almost 10,000 seals call this stretch of beach home. 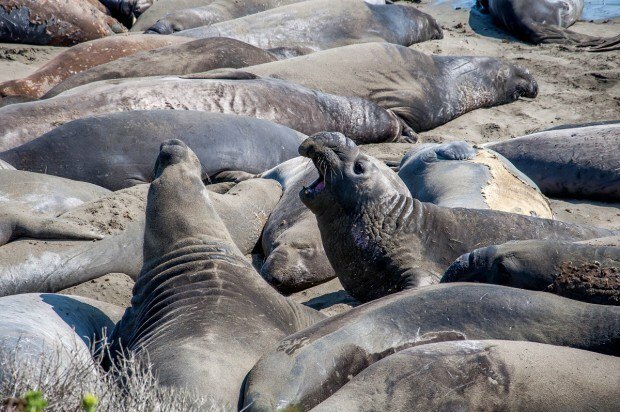 If you visit the beach, you can see the elephant seals sunning themselves and the males fighting. 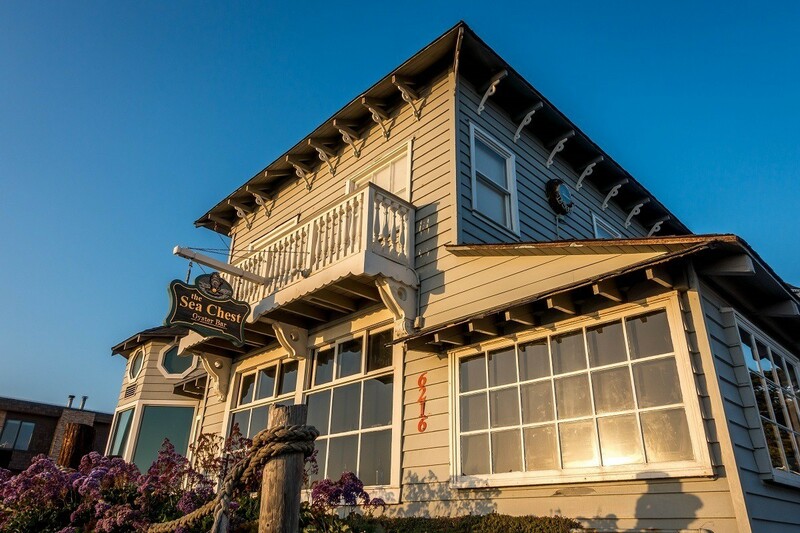 It’s a social experience and absolutely one of the top things to do in Cambria! 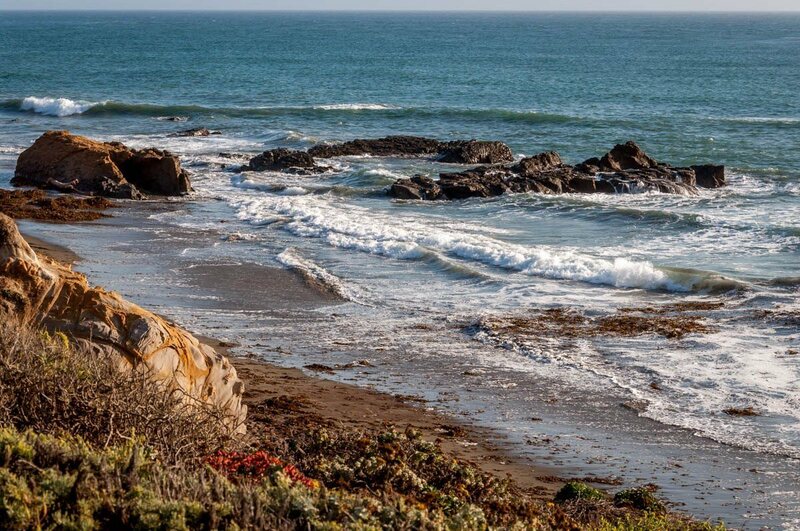 Less than a mile from downtown Cambria, the long Moonstone Beach calls to visitors. The beach and the wooden boardwalk on the bluff above it, have incredible sunset views of the Pacific Ocean. But people walk down to the beach for another reason: gemstones. The beach is littered with semiprecious moonstones. At sunset, the stones reflect back the sunlight in vivid colorful displays. You’ll see people walking along the beach and collecting the stones for their beauty (or to help their psychic aura…it is California after all). There are times when Cambria seems like Linn-ville. There’s Linn’s Restaurant, the Linn’s Farmstore, the Linn’s Easy As Pie Café and the list goes on. Linn’s is Cambria, California. We’d heard a great deal of fuss about the Olallieberry pie at Linn’s in Cambria, so we needed to check it out. I’m not a fruit dessert person. If it’s not chocolate, it’s not really a dessert. But I enjoyed the tart Olallieberry pie. What’s an Olallieberry? It’s a blackberry-raspberry hybrid that was crossbred back in the 1940s. 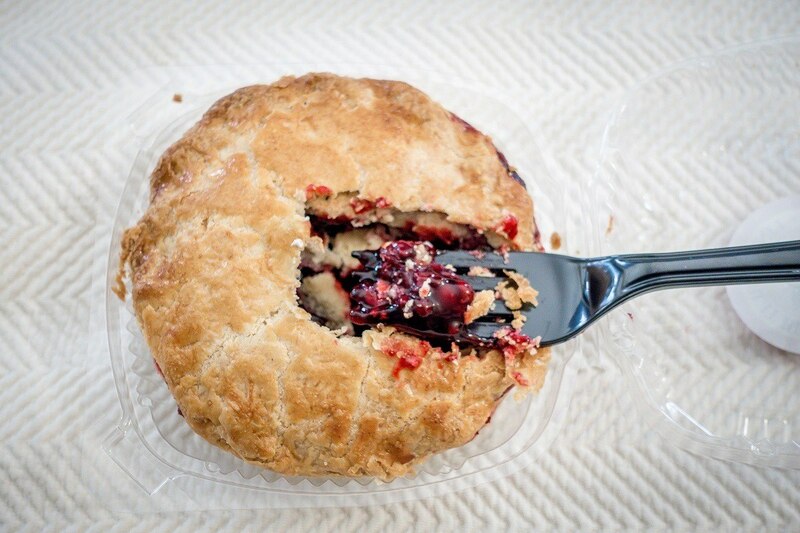 If you find yourself in Cambria, trying an Olallieberry pie from Linn’s is one of the things to do. You’ve heard about ecotourism and you’ve heard about sustainable travel. The folks on California’s Central Coast are branding a new genre of travel: Stewardship Travel. 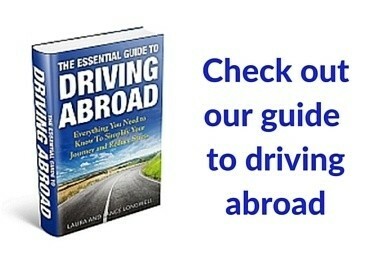 It’s about both “doing good and feeling good” about your travels. Visitors to Cambria are encouraged to volunteer on the Fiscalini Ranch Preserve and their small wilderness area preservation (SWAP) project. 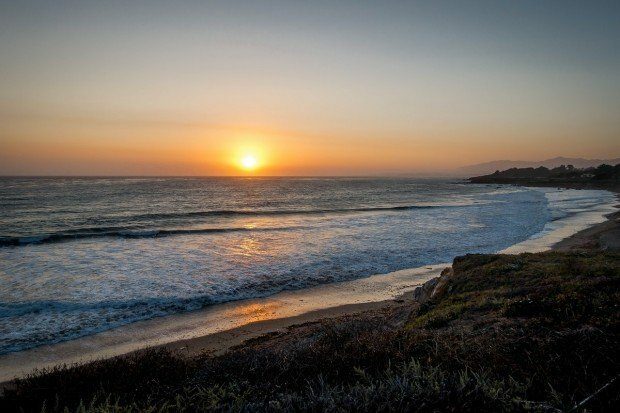 It was purchased and preserved as open space in 2000, however, the Chumash and Salinan tribes enjoyed this view of the Pacific Ocean since before 600 b.c. During our trip, there weren’t any volunteer opportunities, however, we hiked along the coast and enjoyed seeing one of the most biodiverse regions in California. The Nitt Witt Ridge is the antithesis of the Hearst Castle. It is a kind of common man’s Castle on the Hill and is certainly one of the most unusual things to see in Cambria CA. Begun in 1928 and under construction for over 50 years, outsider folk artist Arthur “Art” Harold Beal (who went by the name Captain Nitt Witt) created a masterpiece to his own imagination. A garbage collector by trade, Beal built Nitt Witt Ridge from recycled objects, including some supposedly from Hearst Castle itself. After Beal’s death, Nitt Witt Ridge was purchased in 1999 by Michael and Stacey O’Malley, who opened the site to visitors. While some visitors may view the site as recycled garbage, there is an elegance and creativity to the work. And the State of California agrees: Nitt Witt Ridge has been designated a Registered Historical Landmark. 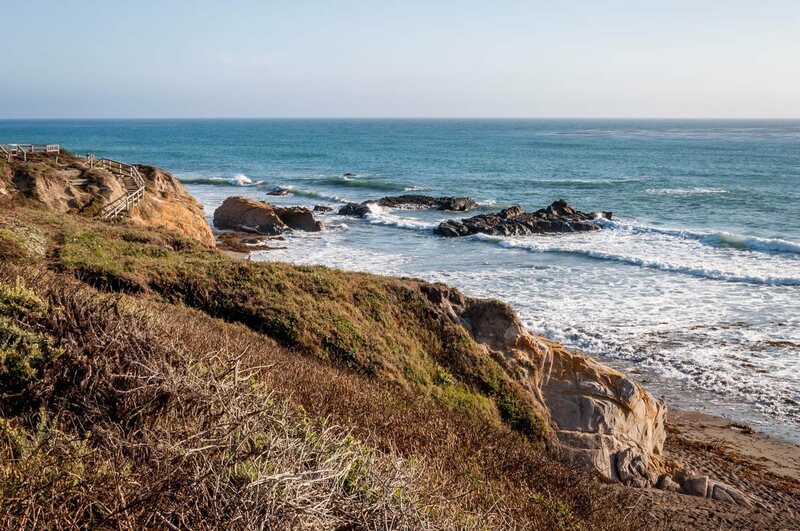 Instead of staying in Paso Robles, why not Cambria? Cambria makes an ocean side base to explore the stunning wineries of the Route 46 West wine trail and beyond in the Paso Robles AVA. But you don’t have to go all the way over the mountain to try good wine. There are several wineries along the Pacific Coast Wine Trail that produce excellent vintages, including several right in Cambria. 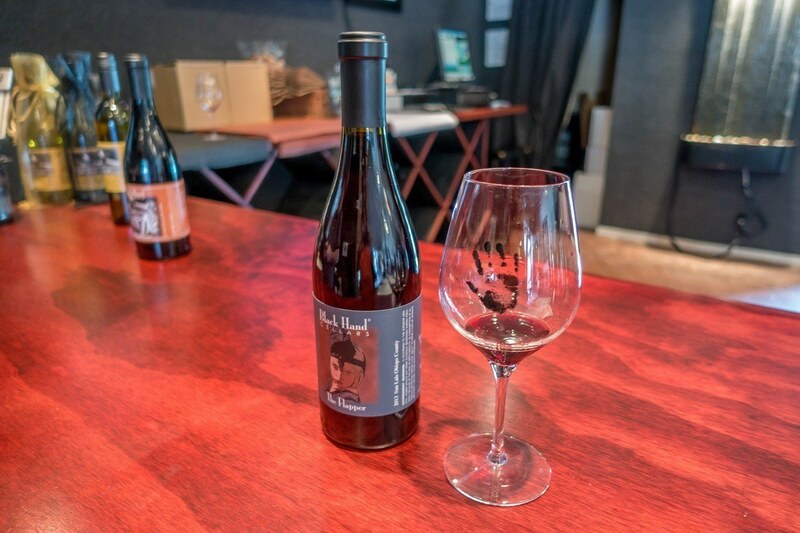 At the top of the local list is Black Hand Cellars with its focus on Syrah vintages. Although, I particularly enjoyed the Flapper – a coastal Pinot with strong cherry notes. Also worth visiting is Moonstone Cellars with its broad portfolio of reds and whites, served in a comfortable tasting room. If you want to get out into the vineyards, let someone else be the designated driver and consider a wine tasting tour from Cambria. 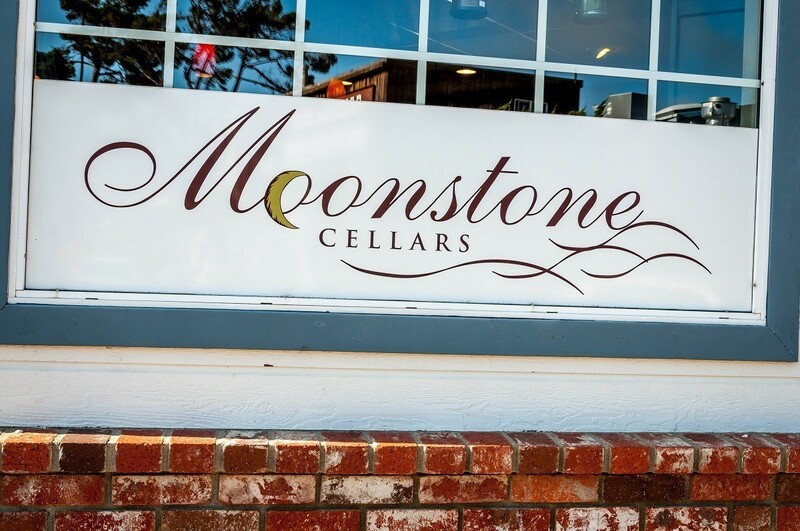 If wine isn’t your style, stop into the 927 Beer Company (formerly called the Cambria Beer Company) for a brew. I enjoyed the German lager. For the designated drivers, they also have an amazing, hand-crafted root beer. 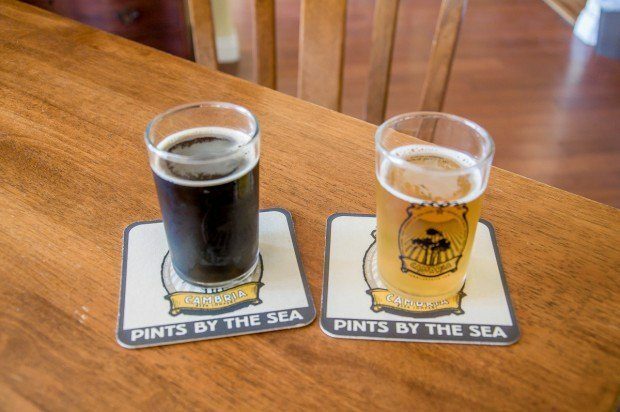 Wine and beer tasting is definitely one of the most fun things to do in Cambria. There are a number of excellent restaurants in Cambria. Some locals swear by the culinary empire of Linn’s and their delicious pie. However, we opted for the Sea Chest Restaurant on a bluff overlooking Moonstone Beach. Sea Chest features fresh seafood, cozy decor and a reasonably priced wine list. You can’t beat the food or the location for a nice dinner. Simply do nothing at all. Cambria is a great place to curl up, read a book as you listen to the waves crash outside your window at your hotel on Moonstone Beach. Tours are given daily except Thanksgiving, Christmas and New Year’s Day between 8:20 am – 3:20 pm (a little later in the summers). Located north of San Simeon at 750 Hearst Castle Road, San Simeon, CA 93452. Phone: (800) 444-4445. Website: http://hearstcastle.org/ The tours are almost two hours, which includes the obligatory bus ride from the visitor center. Various tours are offered and ticket prices start at $25. Tours book out well in advance during peak times and booking online is recommended. GPS coordinates are: 35.6852°N 121.1666°W. Visiting the Piedras Blancas rookery is easy and you only need to look for the cars. It’s located 14 miles north of Cambria, CA on the west side of the highway. Park anywhere and follow the crowds. GPS coordinates are: N 35° 39′ 48″ and W 121° 15′ 28″. Open daily at 5:30pm, but closed on Tuesdays. 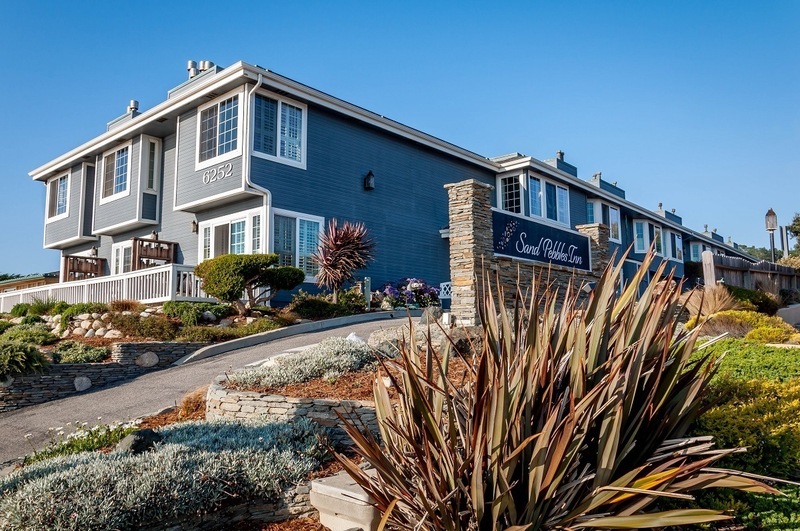 6216 Moonstone Beach Drive, Cambria, CA 93428. Phone: (805) 927-4514. Website: http://www.seachestrestaurant.com/ Note: The Sea Chest Cambria CA restaurant is cash only (there is an ATM on site). We explored Cambria and the California Central Coast as guests of Visit Cambria CA. As always, all opinions in this Cambria visitors guide are our own. 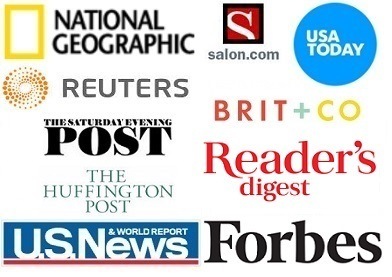 Note: Some links may be affiliate links, which means Travel Addicts may earn a few pennies if you buy something. What do you think about An Ideal Weekend in Cambria, California?